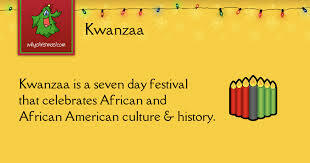 Kawanzaa was started on December 26, 1966, 51 years ago by Dr. Maulana Karenga. It is celebrated for 7 days. You can read more about it by clicking here.